38mm. 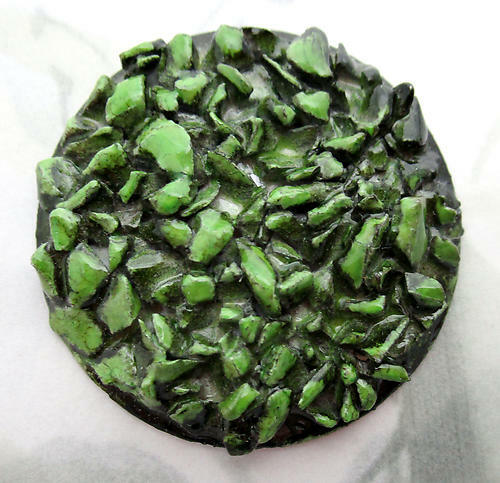 Vintage high relief pebbly texture green on aluminum base cabochon. Backs are concave. New old stock. Jewelry supplies.